Chardonnays are now so much more – or less – than the over-oaked white wine that led many of us to apply the ABC rule (Anything But Chardonnay) when selecting a wine. Those chardonnays were mostly produced in California and were very high in alcohol, heavy, and over-oaked. They seemed too big for summer and not big enough for winter. Well, all that has changed. Today’s chardonnays, chosen with a bit of care, are delightful, fresh, clean, crisp and well balanced – much like the French chardonnays that have stood the test of time. But if you prefer oaky chardonnay, you have not been forgotten by some current winemakers. Chardonnay is one of the most widely planted grape varietals in the world, and most famous as the grape used in Burgundy for French chablis and their notable white burgundy. It is also one of the main grapes in champagne and sparkling wine. There are many styles and flavors of chardonnay. Characteristics of the wine take on the land’s terroir and come to life in the fermenting process. Chardonnay at its best is a dry white wine, with just a slight touch of sweetness. Aromas and flavors consist of apples, pears, peach, lemon, lime, grapefruit and pineapple. When aged in oak barrels; butter, cream, vanilla, and oaky, smoky, toasty, and mineral notes appear. Flavors grow in your mouth, leaving a long, complex finish. Chardonnay can stand up to most foods, making this a positive choice for most menus. You can find outstanding chardonnays produced in the United States – especially in California, New York and Washington State. You can also find great chardonnay abroad: Argentina, Chile, France, Greece, Italy, South Africa, New Zealand, and more. Every country has its own individuality and wines vary from region to region. Chardonnay ages well, developing more complex, subtle flavors over the years – a favorite white wine for collectors. 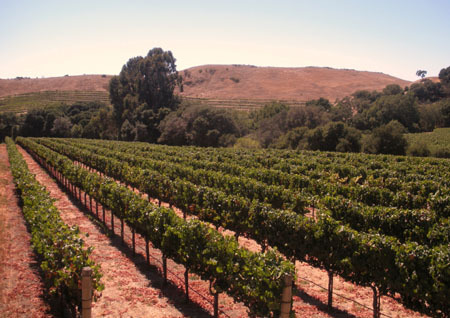 Producers to look for from California are Au Bon Climate, Chateau St. Jean, Grgich Hills, Hanzell, J.Lohr, Justin, Merriam Vineyards, St. Francis, and Quickfire. From New York, look for Dr. Frank Konstantin, Lieb Cellars, Macari and Millbrook Vineyards. And from Washington State, Chateau St. Michelle, Columbia Crest and Hogue. Producers from abroad include Albert Bichot (France), Boroli (Italy), Brancott (New Zealand), Casa Lapostolle (Chile), Gaja Gaia & Rey (Italy), Joseph Drouhin (France), and Louis Jadot (France). 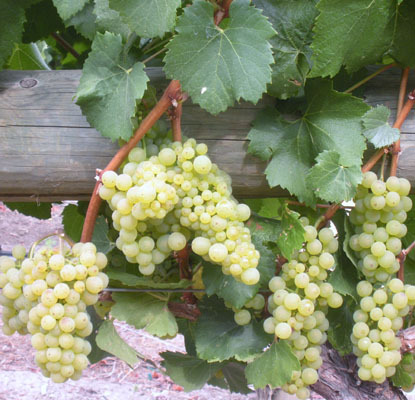 Chardonnay produces some of the best late harvest dessert wines. Judy Mattera of Sweet Solutions, not surprisingly, loves sweet wines. Judy is an acclaimed pastry chef and has worked at several prestigious restaurants in Boston. She now consults for restaurants and retailers, and teaches wine and dessert pairing at Gordon’s Fine Wines in Waltham, as well as at food and wine shows, corporate events, restaurants and wine dinners. She also writes about sweet and fortified wines for various publications. When Judy chooses wines for dessert menus, she must first identify the aromas and flavors. In pairing sweet wine with dessert there are guidelines to follow. Judy emphasizes that the wine has to be sweeter than the dessert so know the sweetness levels, and pair delicate to delicate – completing your meal with balance and elegance. Judy highly recommends “Joy” by Rombauer Vineyards in Napa, and Wolffer Late Harvest Chardonnay from Long Island, both are tropical, fruity and lush, pairing well with peach tarts and nectarine crisps, topped with almonds and served with vanilla ice cream. Another great pairing is Steele’s Late Harvest Chardonnay. The wine has aromas of peaches and honey, with hints of citrus, and tastes of stone fruit with a lasting finish. It is amazing served with mascarpone semifreddo with grilled peaches and Amaretti. Champagne and sparkling wines are also good matches for dessert pairing, as well as moscato. Sweet wines can also be served as dessert on their own – easy and delicious. Enjoy.